Your home is a castle. And although you’ll probably want to think twice before digging a moat or heaving boiling oil up onto your roof, you should still do everything in your power to defend it. The sad fact is that break-ins occur all the time. In the United States a break-in occurs every 14.6 seconds. That means that if you have something worth stealing, then chances are that someone out there wants to steal it. But short of turning your home into a futuristic fortress of laser sensors and robot sentinels, how can you secure you home against unwanted visitors? Here are some simple things you can do to discourage break-ins, and about how much money each method will cost you. If you live in an apartment complex, then you get to enjoy the double stress of being surrounded by people you don’t trust, and not being able to do much about it. Seriously, any major security features you add to your apartment will either violate your rental agreement or—at the very least—get left behind when your lease expires. The good news is that most burglars enter directly through the front door. That means that if you can secure your main entrance, you’ll be less likely to get robbed. So beef up your door defenses. Check the door itself to make sure that the hinges are secure and lack rust. Check the door-frame for rotted wood or cracks. If you see problems here, you should be able to get your landlord to fix them for free. If not, then invest in some repairs (hinges: $15-$30, door frames and jams: $50-$100). Install and use a deadbolt (Approx. $50), and never leave a spare key outside where a criminal could find it. Small magnetic contact alarms can be purchased at most home supply stores ($5-$10). These attach to the inside of the door and the frame, and emit an ear piercing shriek when one side breaks contact from the other (such as when the door is opened). Sure, you’ll need to get really good at reaching in and disarming it whenever you come in through the front, but that shouldn’t be too difficult if you know where the alarm is. A criminal would most likely hear the shriek and run for it. Most burglars are as disinterested in meeting you as you are in meeting them. As such, they would prefer to do their business in your home when you are not. So, do whatever you can to make it look like someone is home during the day. Consider leaving the television or radio on when you’re gone, or installing a timer (approx. $10) to turn them on and off throughout the day. Alternately, if you have a car that you’re going to be leaving at home, park it in the driveway rather than in the garage. Install motion sensor lights on your front porch ($20-$50). Ask a neighbor or friend to collect your mail and newspaper if you plan on leaving home for an extended period of time. Heck, you could even get a cardboard cutout of yourself made at a local copy store (approx. $70) and place it somewhere that can be seen from outside. If you have a dog that’s going to be home during the day, don’t hide the fact. Burglars have classically avoided guard dogs, and will probably look for an easier target if they see an outside food dish ($3-$10) or a doghouse ($50-$100). If you don’t have a dog, consider placing a sign near your door that indicates otherwise (Approx. $5). You can also give the impression of electronic security without actually having any. Fake surveillance cameras ($15-$40) and digital key-pads (approx. $10) would probably be enough to scare away all but the most daring thief. Naturally, to be really safe, you should invest in an actual electronic home security system. But even if you find yourself with only a few extra dollars to put towards your castle’s defenses, you can still do a lot to discourage potential break-ins. The boiling oil, however, should probably be a last defense. About the Author: Lindsey Patterson is a freelance writer who specializes in home improvements involving home automation. She is currently acting as a consultant to Vivint. You can follow them on Twitter here. Even if you are moving to an apartment of comparable size to where you’re living now, it’s best to pare down your belongings. Go through everything. If it’s broken, toss it out. If you haven’t used it or even touched it in the last twelve months, get rid of it. If you own four of the same thing, keep the one that is in the best condition and get rid of the rest. Paring down helps you save space in the new place. It also makes moving day a lot easier to deal with. The fewer things you have to pack up, move and unpack, the better for everybody’s stress level. Hint: Sell the things you’re getting rid of in a yard sale to earn extra money to help finance your move. Donate whatever doesn’t sell (if you donate to a charity, the donation can be written off on your taxes). Renting local storage can help make the transition from one space to another much simpler. A storage space is a great place to put the things that you know you aren’t going to use every day but that you want to keep. Holiday decorations, luggage, off season clothing, files, etc—they can all be kept in a storage unit (preferably one with climate control). Storage units also make it easier for you to move into a smaller (and therefore cheaper) space than you are currently occupying. You want to give at least a week’s advance notice to your electric company and gas company that you will be moving in and will need the power to be turned on. You might need to give at least two weeks’ notice to your cable/internet provider. Make sure you check with your apartment manager before you do this. The complex/building might have a specific provider that they require all residents to use. One of the realities of apartment living is just how nomadic it can be. If you’ve got a short lease or are only living in an apartment while you hunt for a house, getting a Post Office Box can be a lifesaver. You can have your mail forwarded there and then, no matter where you live within that city; you can keep the same address. It saves quite a lot of hassle. Remember that your boxes are going to be moved by humans—possibly you and a few friends. Make them easy to carry. You can always make extra trips. You cannot always get your arms or back replaced. Moving is never fun. Even if you’re looking forward to the new space, the process of getting there is going to stress you out. Using these tips can help alleviate a little bit of that. We’ve all been there. The awkward moment when your parents think they’re finally free of you and then you knock at their door with all your possessions. It might be a life transition, perhaps you’re moving house or you’ve just finished university. But beware! You tell your parents, “It’ll only be for a week or so, while I find my feet”but before you know it, a year’s passed and you’re wondering why on earth you’re still lying on the sofa watching repeats of Jeremy Kyle. Whether you want to find a new home or just want to stay afloat, these are some of our top tips to avoid the dreaded move back. It’s best not to be picky when it comes to jobs. In fact, a lack of income means you will certainly need to move back in with your parents. Changing career or just starting one can be a tricky time and sometimes the wait can go on forever! In these situations don’t be afraid to take temporary work in bars or restaurants but if you can’t stomach endless hours in the catering world, then make sure you use your contacts. With most jobs it’s all about who you know, so if you have any friends in high places, make sure you get in touch! You might have thought by this stage in your life that you’d be living in a penthouse suite over-looking the city skyline. Maybe there’s an indoor gym next door and on the roof there’s a hot-tub for all the parties you’ve been having. Think again! If you’re ever going to live independently you have to be realistic. Try and move in with friends or a partner, it’s a great way to keep costs down. If you heading out to a new city on your own, then you should definitely consider a house-share, it might get frustrating when the same unwashed pots and pans litter the side of the kitchen (we all know who it is), but it’s worth the sacrifice. You might even save some money for your own deposit in a few years time. Importantly, while it’s nice to charge off into the world and achieve all your goals, life hardly ever goes to plan. So if you’re thrown a curveball and end up living at with your parents, don’t be too hard on yourself. Besides, Mums know best. Spend Money Once Buy a House You Can Retire In! What if you could buy real estate one time and then live there the entire time your family is growing up and beyond? Wouldn’t this be easier than having to move several times, provided there are no external factors that motivate you to do so? So many times when older people start to experience health problems, they must also find a home to buy a home that is more senior-friendly. The presence of stairs, the size of the hallways and the entry and exits of the home could make it difficult for medical equipment to be used on a regular basis. Instead of trying to buy a second house, sell your current property and move all your belongings into the new residence, it’s more cost effective to renovate the home you own. Not only will you be able to customize the remodeling process, but it will also increase the amount of equity built into the house. If you plan on passing the real estate down to your children, it will make it more valuable all the way around. Now that we know some of the reasons why you would avoid moving, how do you do that? What are the features of a home make it a great place to retire? Location is Everything in real estate One would be location. How close is it to shopping, medical centers, and basically civilization in case of an emergency? Sound can always be masked with insulation and other methods, so don’t let that keep you from getting a great deal close to all the conveniences of a town or city. You’d be surprised at how a little sound proofing can turn a place into a haven of peace when there is constant chaos outside. Future Remodeling Potential Another feature would be the space built into the home and the property where it resides. Do you have room to expand later on and how difficult would that be? Most of the time, the city will issue permits for any construction projects you want to complete, but the area should have potential from the beginning. Look at the house from a long-term perspective rather than just a place to land for a few years. Just because you consider the needs of the future when you buy a home doesn’t mean you have to live in a house built for older people. You can change this as often as necessary to accommodate the various needs of your growing family. The idea is to have a property that has the potential to be changed in the first place. If you purchase a residence where a group or association makes all the rules, this could be a problem later on. Find out what items are under your control first before you purchase a house like this. Invest a little time into your real estate buy first, and you’ll be able to spend money once and live there twice as long. Article brought to you by OpenOffer.com, a real estate resource for San Diego County. Ever get confused by the massive amount of home loan packages that bankers sent you? In Singapore, there are more than 20 banks and financial institution that proves mortgages to home owners and the total amount of packages that they have would probably come up to about a hundred. In general, home loan packages can be break down into 3 main types, fixed rate, variable rate and interbank market pegged. 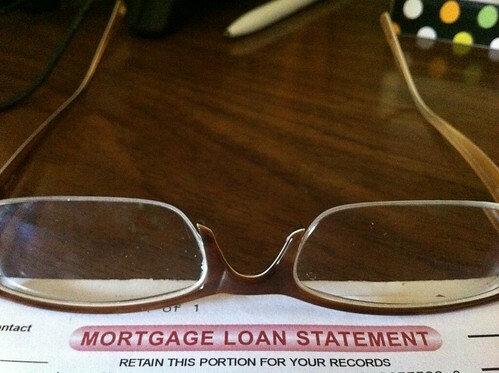 Your mortgage rate is fixed for a certain period of time, say 2years, 3 years or 5 years at a certain rate. 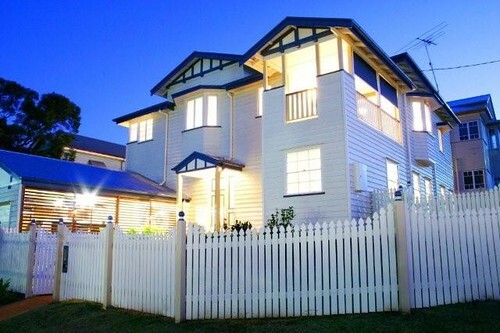 The interest rate on your home loan reverts back to a variable rate after the fixed rate term. Typically the bank will required you to be locked in with them during the fixed rate period. Your mortgage is pegged to a bank’s variable board rate (BR) minus a certain discount, example. BR 4.5% – 3.2% = 1.3%. The discounts off the Board rate are usually tiered down in the latter years. You typically enjoy greater discounts within the lock in period with the bank. 3. Interbank Market pegged: Sibor and SOR. Also a class of variable rate, but offers full transparency to borrowers as your mortgage rate is pegged to the interbank market rate. Sibor stands for Singapore Interbank Borrowing Rate and SOR stands for Swap Offer Rate. Both rates are publicly available in the newspaper and the internet. Banks charge a certain mark-up spread over the Sibor or SOR rate. The Sibor / SOR rate is the cost of funds while the mark up spread is to cover bank’s operating cost with the nett of it as its profit. Article by Keff : Mortgage Supermart Singapore. For a discussion on the best financing solutions for your Home loan financing, visit us at www.sgmortgagesupermart.com. When it comes to buying something for your home, you have the option of renting or buying a particular item. Each approach comes with its own set of advantages and disadvantages. Renting an item allows you to offset the expense of paying the purchase price for an item; however, it’s no different than renting a car or a tuxedo. Regardless of how much money you pay, you will never own the item. You have to be careful with the items you rent because they’re someone else’s property. If you damage the items you rent in any way, you will have to pay the cost to replace or repair the item. You’re going to be careful with item you own, but not as cautious as you need to be when you’re in possession of the property of a stranger. The only difference between purchasing an item on credit and renting is that no matter how much you pay to rent an item, you will never own it. At some point, when you purchase an item on credit, the full balance is paid off and you have no obligation to the company you purchased it from. In the case of renting, you have an obligation to the company that owns the item you’re renting for as long as you want to use it. One advantage of renting is that you get to figure out whether you want to keep an item long term. This becomes especially important when you’re dealing with big ticket, high dollar items. Most stores won’t allow you to return an item that costs a lot of money unless it has some sort of defect. Some of them only give you a store credit even in those situations. You have to put up quite a stink to get a store to take back a high priced item and refund your money. The requirements for when you can return an item have become more rigid over the years. You don’t have the option to try out an item unless you received it as a gift. Even then you have to have a receipt and a solid reason as to why you are returning it. Without either you’re left with an item you don’t want and little recourse if you want to return it. Businesses do not want to lose out on the potential profits they receive from high dollar merchandise. Another great option you can do if you can’t afford to purchase an item but don’t want to rent the product without getting to keep it you can go to a company like Rent A Center. They allow you to make weekly payments and then after a certain amount of payments the product is yours. This is a great option for many people that need to items but can’t afford it otherwise. Purchasing the item is the way to go for people who are too worried about ruining someone else’s property. You have to make sure you know what you want before you decide to purchase something. In buying an item, the chance you have to return it is remote, depending on its price. Lower priced items can be returned within a certain timeframe, no question asked. Expensive merchandise will require you to jump through hoops to get it back to where you found it. Each approach is advantageous to a certain group of people. You should consider each one a pick out the route that will work the best for you. 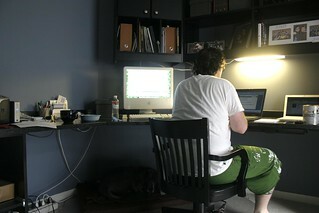 There was a time when only the most important of managers were given the privilege of working from home. They got a company leased line, and enjoyed conference calls via the wonders of, at the time, sophisticated IP telephony. Today, even the most average of broadband connections can support remote working, and almost everyone has a laptop, netbook, or desktop PC that they can use for IP telephony and document sharing. Step 1: Look for Work From Home jobs – all you want to do is work from home, right? Most scammers advertise their jobs as “work from home” jobs, and are vague about what the job actually entails. You can be pretty confident of finding scammers if you look for opportunities to make money from home. All the boring legitimate jobs (the ones that actually require work) advertise for people with certain skills, rather than just pushing the work from home side of things. After all those years slaving away in an office for just barely enough to pay your mortgage and keep your car on the road, I bet you feel like a fool now. You could have been making thousands every day with just a couple of hours of work per week from the comfort of your own home. If only you’d known sooner! Your friends aren’t warning you about the scam you’re falling for because they’ve been there before and know it’s fake. They’re warning you because they’re jealous. They’re not motivated enough to quit their jobs and think outside the box. You’ll be laughing at them when you’ve earned megabucks. So, you tried one job and it didn’t work out. It was the system that was bad. Definitely. You can keep trying, one day you’ll strike it rich. All of the above, of course, is tongue in cheek. If you want to work from home then you should prepare yourself for the realities of remote working. There’s a good chance that you’ll end up doing the same job you’ve always done, only you’ll be using a leased line and relying on the wonders of IP telephony to support your job. Don’t expect your income to be higher, and don’t expect the work to be easier. There are perks to working from home, but it’s not a magic bullet for all of your work related problems.